Isn’t it awesome when you make new friends? This week I made a new friend, Nika Aksutin, who is across the world from Russia. She and her husband Zhenya have a ministry in a village near their city Birobidzhan. They are missionaries to Russian Jews. You can read about their work at their blog, Far East Russia For God’s Glory. Recently they had a children’s summer camp where they studied the nations of the world. Don’t you just love the hands-on learning with crosstitch, stained glass windows, and drama? Also, about 20 pastors and leaders of Far East Russian churches just received training at the Far East Russia Bible college, with Bill Mills of Training National Trainers. This program has been done in China, Kazakhstan, Vietnam, the Phillipines and others, but this was the first time this program had been done in Russia. 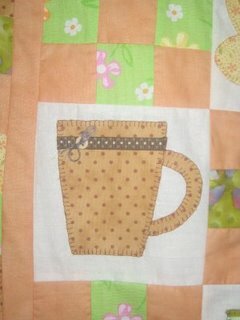 You can see more of this beautiful quilt at Nika’s blog, Craft For Christ Glory. ← Weddings should be like this!